ALBUQUERQUE, N.M – The Razorbacks opened the New Mexico Collegiate Classic event titles in the weight throw and long jump Friday afternoon at the New Mexico Convention Center. 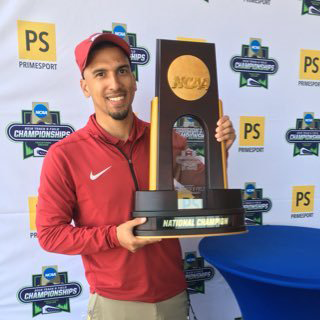 “Going back to the goal coming in with these guys, for the field event athletes – the technical events – they’ve done a great job of putting in the work,” said assistant coach Mario Sategna. “They’ve really done a good job of dialing themselves in as we get closer and closer to the conference meet, that’s why we didn’t want to miss a weekend of meets. It was good for Gabe [Moore] and Derek [Jacobus] to get some work in, they’ll come back tomorrow in the hurdles and the 400-meters. I was really happy to see Laquan [Nairn] getting more and more consistent on the runway. I think that’s one of the things in the horizontal jumps with these elevated runways, getting the timing down in a competition setting is important,” said Sategna. 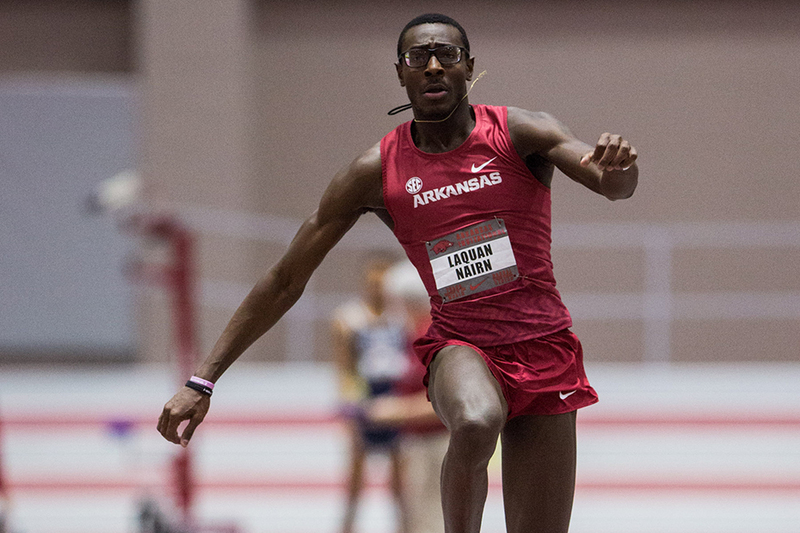 Laquan Nairn led a trio of hogs in the event, finishing with a season-best jump of 7.66m (25-1.75). Gabe Moore was the second-highest finisher for Arkansas posting a fifth-place finish with a best of 7.15m (23-5.50), while Derek Jacobus turned in a jump of 6.83m (22-5) for ninth-place. In the only other event the Razorbacks were entered in Friday afternoon, Erich Sullins made it three-straight meets with a win in his signature event – the men’s weight throw. Sullins finished with a best of 19.88m (65-2.75) he posted on his fifth attempt. With [Erich] Sullins, it was good! He continues his undefeated season. it’ll help next week when we get a break in the weather to get outside and throw a little hammer to work on some timing issues and sure things up before the SEC meet,” Sategna finished. Arkansas will return to the Convention Center tomorrow morning as the Razorbacks are in action across four events.